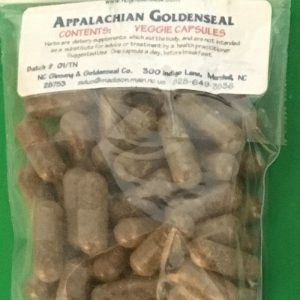 30 hand-processed veggie capsules made from NC/TN Cultivated Goldenseal. 1oz. 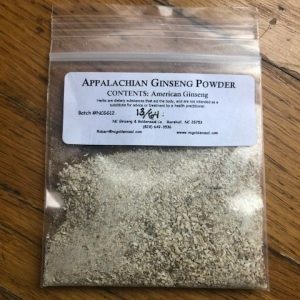 Dried Organic Wild American Ginseng. Hand ground in grist mill. Made to Order. Great for making tinctures and capsules. 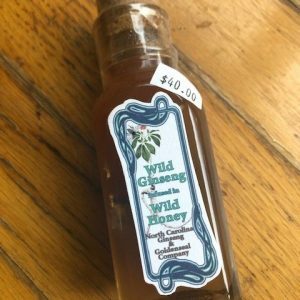 Ginseng & Honey – NEW! 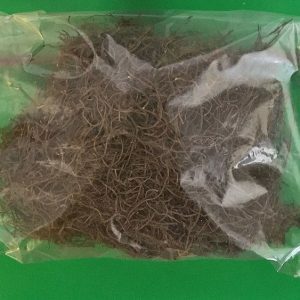 Dried Goldenseal Rootlets – NEW! 1oz Dried Organic Goldenseal. Hand ground in grist mill. Made to order. Great for making tinctures and capsules. Booklet No. 3 — 4 pages of detailed information, including how to create barriers with natural plants. Booklet No. 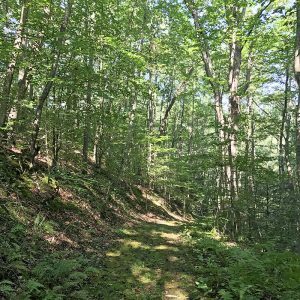 4 – Plant preservation and reseeding. Made for KY public TV, Oct, 2001. 28 minutes, color.